Excellent Article. As a retired ballet teacher and physiotherapist I could not agree more. Thank you and I hope that many parents of ” budding ballerinas ” will read this. I wholeheartedly agree and I appreciate that the Royal Ballet School has made the decision to no longer support certain competitions. It bothers me that some schools use best practices for training their own dancers and don’t allow them to compete in these competitions, but then staff members from the schools still attend and offer scholarships to students at the competition. I think it sends very mixed messages. Wow!!! I thoroughly agree fully. I am 86 and run my own school as I love it, I never want to retire as its my passion. Training and nurturing children is an art in itself. It is true that all children are different and develope in their own way. I have lost pupils to other schools, because they are able to go any festival. I heard of one of my ex pupils of 6 years old dancing four solos at three festivals in one week. I read the words burn out, I just say her little body and mind just won’t cope in being a successful dancer even in to her teens. Parents are mainly to blame these days, as a little 6 year old just doesn’t understand. Parents are more ambitious these days and schools are more demanding on home work etc. If parents would just pull back a little and make sure firstly that their child is in good hands. Let the teacher do her job and produce a musical and expressive dancer without any force. Ballet youth development is not regulated so is not subject to enforcement measures. Any sector of the artistic industry can have unscrupulous actors and players (including short sighted parents). 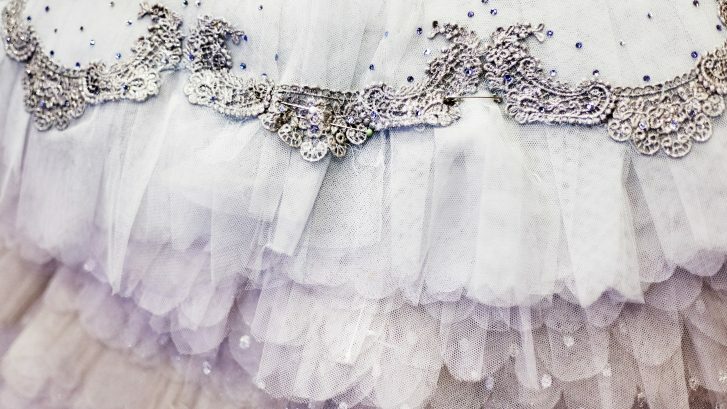 The young have been exploited in ballet and suffered from very early times and taken advantage of, in terms of child safety issues, historically. Competitions are only the latest manifestations of abuse of minors. The entities which sponsor unethical competition opportunities and provide prizes and scholarships to winners must be called out, named and held accountable. Scientific medical research and fact-based evidence is required to substantiate opinions. Ballet is probably incapable of self regulating itself. I come from an intense competition background, I travelled to America, Canada, all over Europe, the pressure to just focus on the competition dance to get it right, removes the love of movement, emotion and that escapism , then there is the social media, with each dancer and parent! Posting all their PR and chasing products to increase their followers, creating both on and off the stage competition , this then results in a feeling of hopelessness, if your not willing to keep up. I am 14! and started to feel like, I had already missed my opportunity in the race to be the best, to get the recognition, to get into a top dance school. Then I fractured my metatarsal, I had to stop dancing, I found the love of dance again by taking my time, by appreciating my body, by realising that racing to the finish line only shortened my experience, I was missing the journey and I wasn’t developing a passion or getting to feel that weightlessness when you dance in a way that makes you feel free. I have two weeks left in a boot and a lot of strengthening to do, but I know from being forced to stop, I will be a better dancer, because I have had the time out to reflect on dance and not on competition, I’m a young dancer and I feel we need more time to create, experiment and play with movement as well as learn the classical technique, music and performance, I really do not think we don’t have enough spare time to be competing, dance is an Art, you would not put a painter in a room and tell them they had 2 minutes to produce a masterpiece! And it will be judged against 50 other painters. I started ballet 4 years ago to enjoy dance and get away from the competition, only to find, ballet is now getting to be about competition. I agree with everything said and for the sake of dance as an Art form and the young dancers who like me have a real passion for dance, I wish dancers just received feedback on how to improve rather then rankings on who is the best, i am my only competition, learning is progress. I totally agree with everything mr pow ney says. We need to nurture young blossoming talent gradually and give these talented children a full education in every way. Dance and theatre life can sometimes be cut short by injuries caused by forced growth in some areas. The body and mind are delicate instruments and should be looked after … as they are at schools like the royal ballet school.. I am in complete agreement with all of the views voiced by Mr. Powney. I have long expressed my dismay at what young dancers are expected to achieve. All before many have developed complete strength both physically and mentally. It really seems, (probably to we older teachers) that quality and artistry and yes even musicality are being put on the back burner and the emphasis put on, over turn out, extensions, and winged feet. I cannot help but ask what will be the results to the bodies of these young people as they age. I know of many older dancers who suffer from hip, knee and feet problems, and we were taught with care. I recently watched quite a prestigious competition, where the winner had the most appalling sickled foot, at times was off the music, obviously the result of trying to get an even higher extension. I hear of students being put on pointe at an early age. Pointe shoes are being made to accommodate their lack of strength. I could go on and on, but it has all been said before, These are some of the physical problems that students have to contend with. Then we have to look at the mental stress which should also be taken into consideration. Some-one in an earlier post rightly said that students all develop at a different rate. There still are far too many teachers, who have never taken a teacher training course. or even a workshop. Some I know of were ex professional dancers, but that does not a necessarily a good teacher make. I totally agree with everything Mr Powney says and basically say the same thing to my students who ask about competitions. Thank you for sharing and let us keep sharing! This certainly provokes interesting debate. Children grow and develop at different paces. So what is appropriate for one child is not so for another. As long as the child’s welfare remains paramount, this should not be a problem. But the risks that Chris highlights are very true. I would add that competition dancing has different stresses and strains – generally being very short intense routines over a couple of weekends. This is very different kind of physical demand from a touring company that may be rehearsing and sustaining performances for many hours throughout a day. So competition training may not engender the same type of stamina that performing a show or working in a ballet company demands. With this in mind, we must also look carefully at what kind of dancers we want to produce, and for what purpose and ensuring that there are plenty of opportunities in this country available for them when they reach maturity. It makes me worry as well that students especially the winners would burn out quickly. I feel that after winning top places it would mentally hard to start as a corps member in professional company. I would think that directors would like to see dancers’ working ethics first before their talent. Of course seeing talent is attractive but I think it comes down how is the dancer as an employee. Preparing students for competition is a great tool to develop them I think and putting some age restrictions might be beneficial for students, teachers, and parents. I’m not sure how it would affect economics of competitions. His article is very interesting. Thanks for sharing. I applaud Mr. Powney for speaking out and voicing his views and concerns on a very controversial subject. Competitions however, will continue to exist and perhaps the way forward is for each competition to adhere to a strict criteria with the presentation of pre-set age appropriate variations. A choice of three set solos for each age range perhaps? This will surely make life much easier and fairer for the competitors, teachers and adjudicators. I speak as a former Ballet Administrator of The Royal Ballet School, Ballet teacher/ Lecturer and most recently Adjudicator. If it was a level playing field with the same age appropriate variations for all the candidates with no ‘doctoring’ by the teachers then perhaps it could prove to be a positive and fair experience for all the candidates. This would also make it much easier for the adjudicators and put less pressure on the teachers. Having said that, I agree that not all children will benefit from participating in competitions. Some are simply not ready for that kind of performing pressure until they are much older. This needs to be decided by their parents and teachers. Thank you Mr. Powney for opening the doors for further thought and discussion. Hopefully this will lead to a positive way forward.